Bespro Chemicals Ltd was established in 1957 and has been trading profitably for almost 60 years. 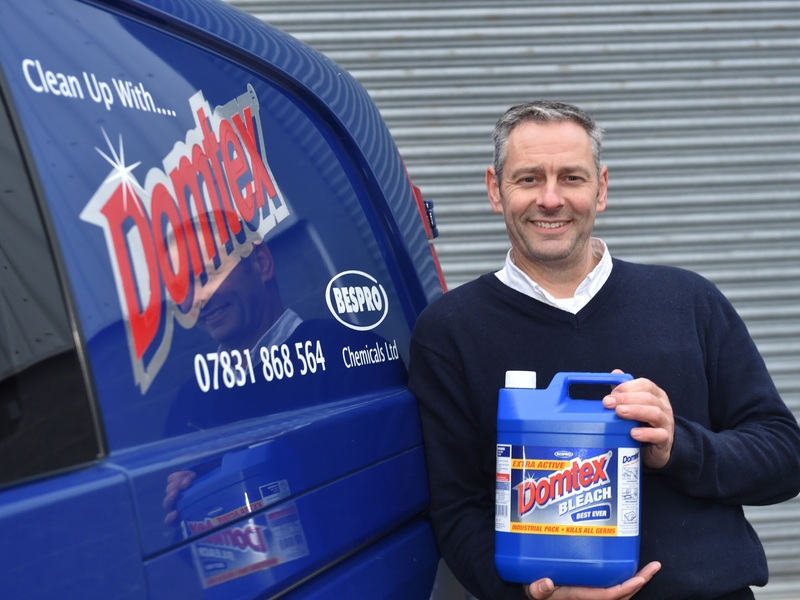 Based in Belfast, we manufacture the Domtex range of cleaning products including Bleach, Detergents and Disinfectants - Perfect for cleaning floors, walls, worktops etc. We can supply in returnable containers to reduce your packaging costs and eliminate waste. With our delivery service you know you won’t run out of essential cleaning supplies! Products can be made to customers specific requirements.